I've been using Facebook Ads since I entered a business plan competition during my senior year of college. I had read story after story about the power of Facebook Ads, so I set up an account and connected it to my project's eCommerce website. Using the limited discretionary income expected of a college student, I channeled $60 dollars into ads over the course of a month and a half. My non-existent experience using the tool showed and I did not get much ROI, but I recognized the potential of extremely targeted ads served on a platform people use non-stop. Fast forward one year later, and I am a Marketing Strategist at a Denver inbound marketing agency. I recently requested a training assignment from our Managing Partner, Eric Pratt, to get my Facebook Ads Certification. I didn't want a certification that would "teach" me basic use of a platform; I've been using Facebook since 7th grade when it first opened up to non-college students. Facebook has changed a lot since then, including now weighting organic posts less than paid posts, overall increasing the importance of paid ads. The skills I want to foster are in the digital marketing and advertising realm, so I started digging into the Facebook Ad Certification and the Blueprint certifications they offer. 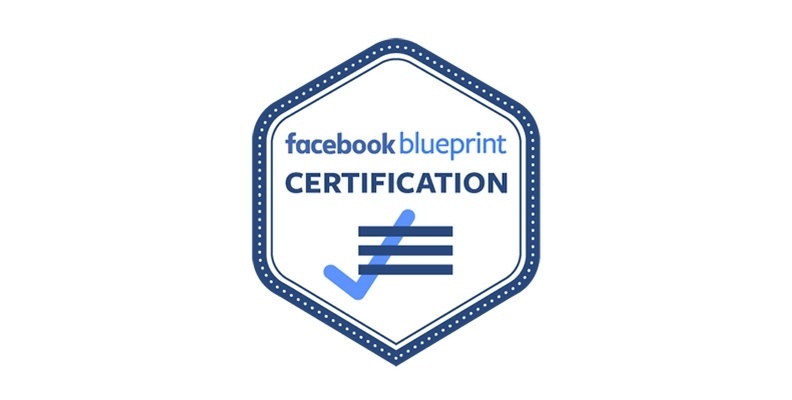 Facebook currently has 2 certifications available under their Blueprint system: Facebook Certified Planning Professional (FCPP) and Facebook Certified Buying Professional (FCBP). The Facebook Certified Buying Professional certification provides more information on successfully targeting audiences, how to target with the Facebook Pixel and managing, creating, and purchasing ads. The Planning Professional certification is more of a strategic education and doesn't get into the nitty-gritty of the Ad tool. These certifications are designed to keep digital marketers at the forefront of the constantly evolving digital world we live in. Besides a printed certificate and digital badge, the certification promises to give you a complete understanding of Ads and help you become an expert. Once you get your certification, it is valid for 12 months until you have to take it again. It is the only marketing certification recognized by Facebook and if you want to be one of their Marketing Partners you must have two team members Blueprint certified, amidst a slew of other requirements. Facebook's promise of a complete understanding of Ads if you get certified is no joke; it is designed as an advanced-level marketing certification and has the curriculum and testing standards to back it up. There are two educational options to become certified: study eLearning courses or attend an in-person (Live) training session. Most take the eLearning courses because the Live session is by invite only and limited to larger cities around the world. To become a Facebook Certified Buying Professional you will have to take and pass two exams. Both have no-cost and extensive eLearning courses to help you prepare, but you will want to make sure you are completely ready because each test costs $150. Leveraging consumer insights and the product catalog. How Much Does a Facebook Certification Cost? The cost to take each Facebook Blueprint Certification test is up to the equivalent of $150 US dollars. Therefore, the cost to get your first certification totals $300 USD or $450 to get both. If you fail an exam, you wait 30 days to retake it and pay the $150 fee again. Even after completing the courses and watching all the videos, you still have to pass the exams to get your certification. The best way to start for any cert is to study the mandatory Core Competency course, sit for the exam, take a deep breath, and then set your calendar for the second one. 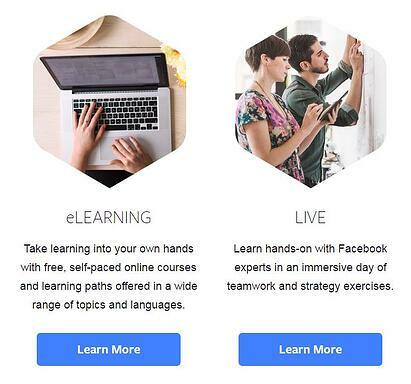 When you have studied enough and are feeling confident with your knowledge on the subject, you can schedule an exam through Facebook's test provider, Pearson VUE. This test is not for the faint of heart and should only be taken if you know you will not be distracted for its duration. You will have an online proctor for the exam, are not permitted to use ANY personal items (including notes and phones), and will be recorded via webcam. You are also required to provide government-issued identification on the day of the exam and scan your room with the webcam before the test begins. Any violations of the exam policies may result in a 3-year ban from Facebook Blueprint and loss of the exam fee. Even if you are not dead set on getting Facebook certified, it is worth sorting through to pick and choose which free courses you want to add to your skillset or take the free practice exams they offer. Efficient use of Facebook requires the knowledge these certs provide in order to avoid a "spray-and-pray" targeting approach. As I get my certification, and as Facebook adds more marketing features, I expect a complete overhaul in my own understanding of digital ads and the torrent of revenue they can unleash. Editor's note: This article was updated on December 31st, 2017 with the latest and greatest information on the Facebook Ad Certification. Dear Agencies, Get Your Data Together! After interning with Revenue River while attending the University of Dayton, Casey graduated and returned to Revenue River as a full-time Marketing Coordinator. 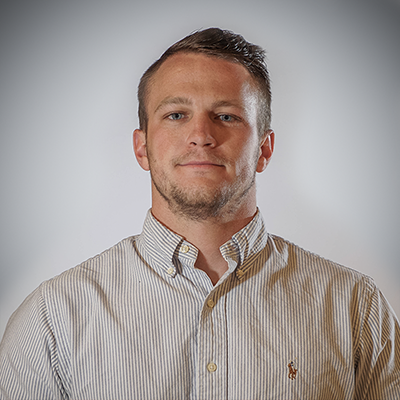 Casey is passionate about building social media channels, staying on the verge of the latest industry trends and creating content that adds value. Outside of marketing, he stays busy on the Rocky Mountain hiking trails and climbing routes.